Friends, we are writing today to ask you to help stop dangerous legislation that is planned to barrel through the Michigan legislature in the next few weeks. The legislation would formalize a backroom deal between Gov. Snyder and Canadian oil pipeline company Enbridge that would allow the existing Line 5 pipelines to remain in the Straits of Mackinac for at least 10 more years, and require the Mackinac Bridge Authority to own and oversee the construction of a massive and complex tunnel on behalf of private Canadian corporation Enbridge Energy. The legislation is bad for the people of Michigan, it’s bad for the safety of the Mackinac Bridge, it’s bad for the waters of the Great Lakes, and it’s just plain bad governance. To help stop this hasty and ill-conceived plan, please send an email to your Michigan legislators (FriendsofMackinacBridge.org makes it incredibly easy! ), call legislators, or even visit Lansing for a “protect the Mackinac Bridge” lobby day on November 27. As a friend of Groundwork, you know that we’ve been working to remove the threat of Line 5 from the Straits for nearly five years. This legislation would ensure another decade of risk for Michigan, while guaranteeing continued profits for the Canadian company's shareholders. Groundwork has helped organize a grassroots organization named Friends of Mackinac Bridge. The ‘Friends’ organization emerged from a forum at the Straits where more than 300 people attended to voice their concern about this hasty plan, and the group consists of people from across the political spectrum who see the dangers of this legislation to the Mackinac Straits and Bridge. People expressed the need for organized opposition, and Groundwork stepped forward, offering to create a website and deploy organizing skills to help stop the bridge-tunnel plan. Gov. Snyder, in his last days as governor of our state, is doing everything he can to find a compromise to the Line 5 issue that looks like a solution and appeases Enbridge. The backroom deal he negotiated places the profits of a Canadian oil pipeline company over the interests of Michigan citizens. He secretly negotiated a plan to foist upon the Bridge Authority the responsibility for the construction, operation and ownership of an oil pipeline tunnel to be drilled under the Mackinac Straits. The pipeline will transport millions of gallons a day of Canadian crude oil through the Mackinac Straits. The vast majority of the oil simply passes through Michigan and heads on to Canadian refineries, providing extremely little benefit to Michigan. Opponents of the bridge-tunnel plan, including longtime Bridge Authority chair Bill Gnodtke, current board member Barbara Brown, Grand Hotel owner Dan Musser, and nearly every other past board member, are convinced that the physical and financial future of the Mackinac Bridge is seriously threatened by the legislation. Managing something as complex as the Mackinac Bridge takes laser focus and complete dedication throughout the culture of the organization—this is essential to serve the motorists, truckers, families and businesses of Michigan. Splitting the attention of leadership to oversee one of the most complex construction projects in the state—to serve the interests of a foreign private company—would certainly damage the culture and management of the Mackinac Bridge. The Mackinac Bridge Authority is currently singularly focused and lacks legal authority to take on a tunnel project diversion. That’s why Governor Snyder is proposing legislation to expand the mission of the authority. In an effort to minimize public scrutiny, the legislation is being pushed through the legislature during lame duck session—a period between the fall election and yearend when new legislators will be sworn in. The bridge-tunnel scheme is an extreme case of bad governance and misguided priorities. The Enbridge-Snyder deal was so hidden that the chair of the Mackinac Bridge Authority did not even know of its existence until 23 minutes before it was to be announced publicly. The legislative strategy also displays a bold contempt for the people of Michigan. By ramming the legislation quickly through lame duck session, the governor knows he can count on votes from legislators who are leaving office and will feel less obligation to serve constituents because their terms are done at year’s end—they have no accountability to voters. Friends of Mackinac Bridge assert that if a tunnel is indeed a good solution for the people of Michigan, then the legislative process should be open and fair. Michigan will have to live with this tunnel for 99 years—if it's ever built. Groundwork and our business partners in the Great Lakes Business Network believe that the current Line 5 pipelines should be decommissioned immediately, and negotiations about a tunnel should happen separately. 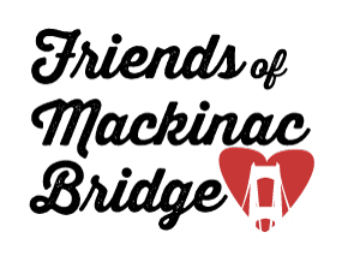 Please take a minute to check out FriendsofMackinacBridge.org and especially read the Take Action pages. The Friends of Mackinac Bridge have made emailing incredibly simple and they offer other great suggestions for getting involved. Just as the Mackinac Bridge joins Michigan’s peninsulas, this issue joins our citizens. The bridge and the beautiful waters it spans are important to every single Michiganian, and they deserve our best public policies, not our worst. We need thoughtful, smart legislation that protects these amazing, world-class assets, not secret backroom deals designed to place the needs of a foreign corporation over the needs of our people. Download the report that reveals how the Enbridge Line 5 crude oil pipeline provides little benefit to the people of Michigan, yet poses great risk to our environment, businesses and jobs: Canadian Profits, Michigan Risk.